Control: One of the aspects I find remarkable about the Eltham Fusion is the extreme control while shaving. Despite the highly polished surface, I experience no slippage regardless of how wet and soapy my hands are. I never lose control while shaving no matter what grabbing style I use. This gives me plenty of confidence while ensuring the razor will not fall out of hand accidentally. Stability: This is another big plus for the Eltham Fusion. 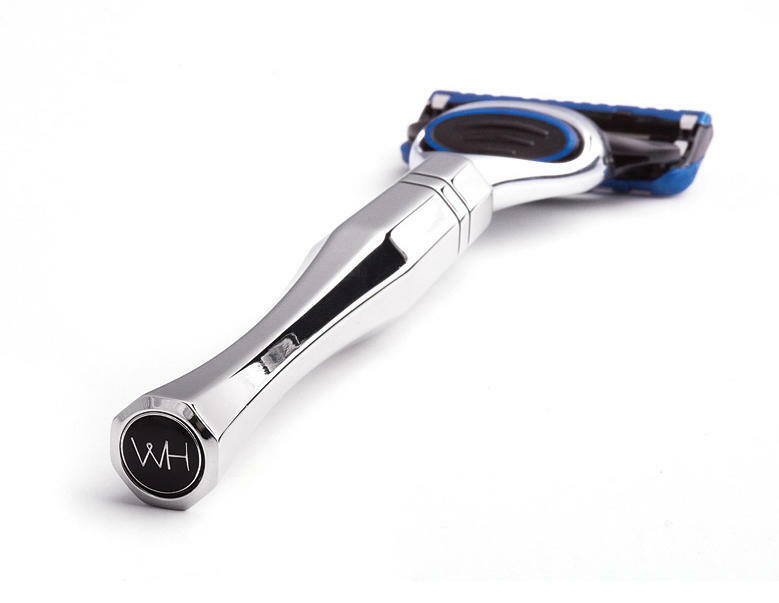 An ideal weight and design translate into an optimum balance that ultimately leads to an effortless shave. Shaving is so easy as the adequate weight of the razor makes it unnecessary to apply pressure against the skin. It is just a matter of letting the razor make contact with the skin and letting the rest happen naturally. The weight also plays a significant role in making a very close but still, gentle shave. Last but not least, the octagonal shape of the handle is absolutely great not only to add more stability but to add precision when shaving difficult areas like the chin. Durability: The Eltham Fusion is simply indestructible. When you grab it you immediately notice that Wilde & Harte take the luxury razor concept to another level. It was designed to last forever and withstand the test of time. From that perspective, the price is not high at all. Appearance: A flawless design consistent with its very high performance. A very stylish, modern, contemporary razor with retro notes. As someone very interested in Art Deco, the Eltham Fusion - as well as the whole of the Eltham Collection - reminds me very much of this important visual art design style. Overall opinion: A well considered design and an even better manufactured grooming accessory, the Eltham is a one-of-a-kind luxury razor that outclasses similar products. Each aspect of the razor is carefully assessed and noting its excellent features, the end result offers an even superior result synergistically speaking. Learn more about the Eltham Fusion razor. Published October 2016, Wilde & Harte Ltd.